The first generation of red kiwifruit will appear in certain shops over the next four weeks. A new variety of kiwifruit with a burst of sweetness is ready to try at your local supermarket. The red kiwifruit, which has been 20 years in the making, could be taking up more vines in the Bay of Plenty if all goes well. Global marketer Zespri is asking for customer and grower opinion during a nationwide sale trial of the fruit. The company has released 30,000 trays, which will be distributed accordingly around New Zealand’s national supermarket chains as well as selected retailers. Zespri cultivar innovation manager, Bryan Parkes, says the retail price is $7 per kg and insists it could one day become as popular as green and gold kiwifruit. “It’s a little bit like déjà vu, because we were at this point 10 years ago,” says Bryan. “But the PSA disease killed off the first generation of product, so we had to go back and look for a disease-tolerant vine and breed that through the programme. Bryan says the new red kiwifruit is sweeter and has a berry note to it, making it taste very different to the other two varieties. Throughout the trial, Zespri will be looking at popularity, shelf-life and storage handling, to determine what can be improved and whether the red kiwifruit will become a contender in the industry. They are also carrying out trials in Singapore and Japan to see how the red kiwifruit will perform in international markets. “One of the challenges with the new kiwifruit is distribution, because the easiest way to move the fruit around the world is for it to stay firm,” explains Bryan. 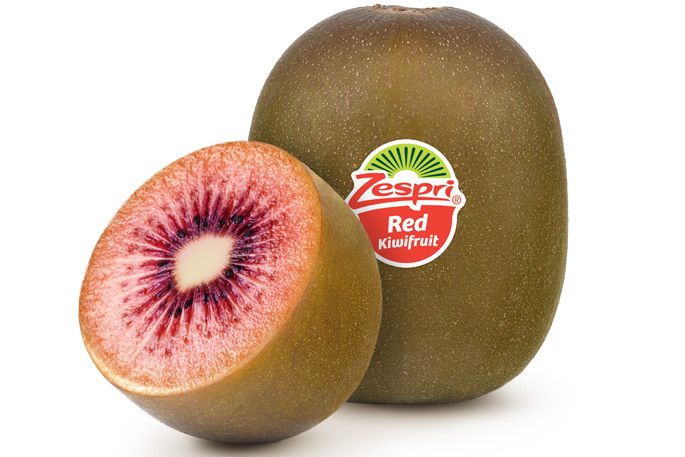 Zespri Red is the latest kiwifruit to come through their natural breeding programme and has been developed in partnership with Plant and Food Research. Zespri has 36 red cultivars in trials in its current programme.